It took me the longest time to figure out what people meant when they talked knowingly about soilless media. So I kept mum, nodding intelligently and hoping I wouldn’t blow my cover by opening my mouth at the wrong time. I finally figured out that soilless media wasn’t dirt. 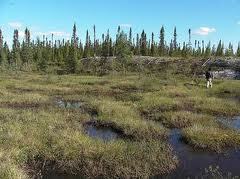 Peat bogs of Canada supply sphagnum peat used in rooting media. Are they being depleted? Some say yes. Some say no. So what exactly is soilless media? This is my definition: it’s a sterile mix of natural ingredients processed according to certain specifications and used to raise plants in controlled conditions, like greenhouses and cuttings beds. To most of us it means a bag of potting soil. 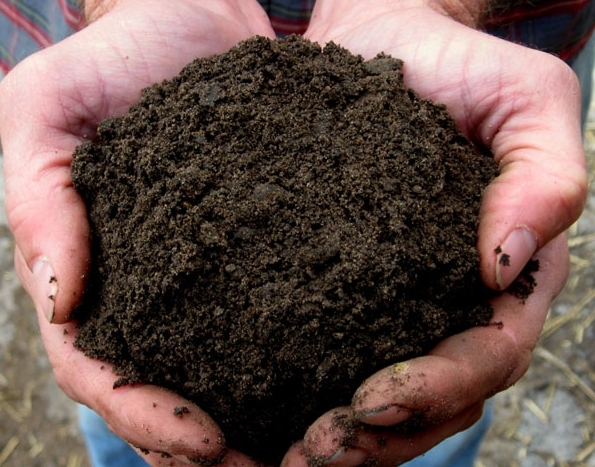 One thing is sure: soilless media weighs a lot less than dirt. It’s “fluffier,” with lots of pore spaces to hold air and water, and that is why it is used for rooting cuttings and growing plants in pots. About a century ago, creating soilless media used to be a higgledy-piggledy affair with all the hoopla of secret ingredients and top secret formulas. The mainstay of all these formulas was manure. No doubt plants grew big, but too many of them died. So a couple of scientists came up with the idea of standardizing formulas. Today there are hundreds of formulas on the market with a variety of ingredients in a variety of proportions. The big four listed on bags of potting soils are perlite and composted pine bark, vermiculite and milled Canadian sphagnum peat moss. Fertilizers, lime and wetting agents may be added to a mix. These formulas are a boon to growers. They make it possible to tailor moisture in growing beds so there’s just enough to keep cuttings from wilting, but not so much that stems die back or rot. 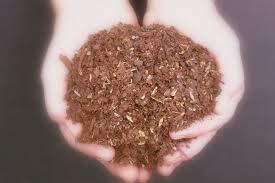 Vermiculite and peat moss hold moisture. Perlite and pine bark promote drainage. The yin and yang of the propagation world. We gardeners are in charge of moisture. If we get it right, we can close up the tent and let the cuttings do their growing. Maybe take a peek once a week or so. But, honestly, we don’t always get it right. Our mantra has come to be this: When we think it’s wet enough, it’s usually too wet. We have probably lost more cuttings to media that is too wet than for any other reason. It takes a while for water to percolate down into our rooting medium, so we start watering the dry mix a couple of days before we want to take cuttings. We keep control by adding water gradually, in several installments, giving the media time to absorb each addition. A properly moistened mix should form a little ball when you squeeze it and feel like a damp sponge. I love to play with the mix to see how cool and moist and “fluffy” it feels to my hands. Holdover from Kindergarten Sandbox 101, I guess, but this play also tells me about moisture in the media. 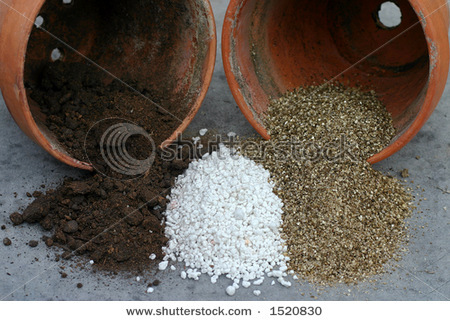 A comparison of fine, medium and coarse perlite, important for good drainage. If water drips out after a squeeze, the media is too wet. We need to let the planting box drain for a couple of days. Lost time! How frustrating! Or, okay, now I have more time to scout the garden for potential cuttings. I like to think that our patience will be rewarded by a batch of successful, healthy young plants. Now let’s think about the soil in our gardens. 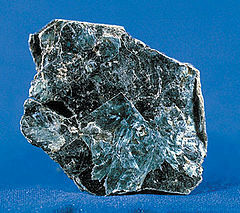 About 50 percent is minerals and organic matter. That’s the part we see and feel and smell. The other half is air and water, which we never think much about unless there’s a drought or a deluge. 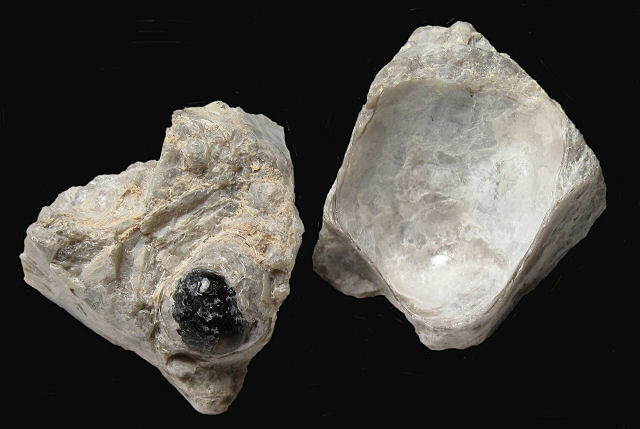 Air and water fill pore spaces between minerals and organic matter. Too much air, soil dries and plants wilt. Too much water, plants drown or rot. How much more critical this water-to-air balance becomes when we are rooting a cutting that is now bereft of its mother plant and expected to stand alone and grow. We happen to live near one of Sun Gro’s processing plants, so we have been able to experiment with a variety of soilless mixes. One we like is Metro Mix 830, which is a combination of Canadian sphagnum peat moss, pine bark, coarse perlite, and vermiculite, with the usual additives of fertilizer, lime (to balance pH), and a wetting agent. We can buy it directly from Sun Gro by the pick-up truckload, a far less expensive proposition than buying by the bag. Metro Mix 830 is not specifically made for propagation. Stem cuttings do not need fertilizer to begin rooting, and by the time they do root, the slow release nitrogen is long gone. We are paying for ingredients we don’t need, but this mix seems to work pretty well for us. It’s probably not any more costly than creating our own designer media mix, and it’s convenient–far less messy than pouring and mixing the quantities we need for a large bed. 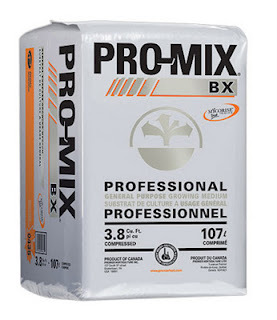 We know many experienced gardeners who use Pro-Mix media for propagation. It is an excellent, peat-based mix. We like the look and feel of it, but it is difficult for us to find locally. Ask for it in nurseries or hardware stores, check out Agway, or order on line. To promote good drainage in the rooting media we use, we add about one shovelful of perlite to about 5 or 6 shovelsful of basic mix. Bob mixes the media and the perlite together in a wheel barrow to insure thorough distribution of perlite. 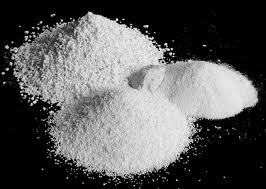 Perlite should be a staple in any gardener’s potting shed. 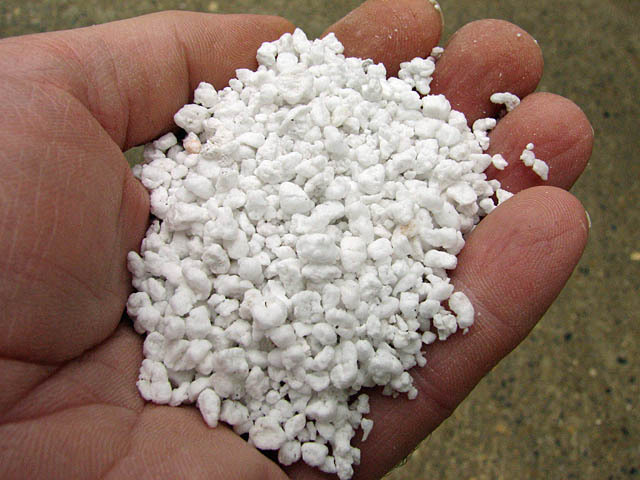 Good gardeners we know routinely add perlite to their potting mixes to improve drainage. 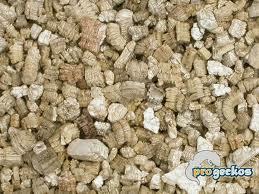 If you intend to use locally purchased potting soil for propagation, we suggest you add a liberal amount of perlite. Here’s why. 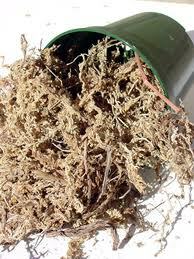 Most potting mixes are sphagnum-peat based. 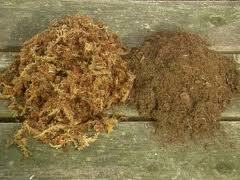 Milled sphagnum peat moss has large cells in its structure that hold lots of water, which is released slowly. It also has anti-bacterial qualities. But even in a bed with good drainage, the sphagnum can keep the media too wet for rooting. Today, many commercial growers are using a combination of four parts (by volume) coarse perlite to one part milled sphagnum peat moss. Mixing your own soilless media is tedious and dirty work in our opinion, so we opt for the luxury of off-the-shelf. If you only need small quantities, or you are an experimenter at heart, here are some formulas you can try. Proportions are figured by dry volume. 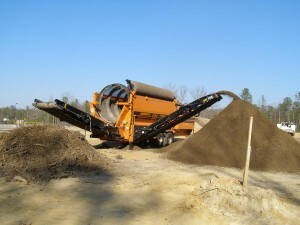 Medium-coarse builder’s sand, not fine-textured play sand, and milled sphagnum peat moss are used. Ingredients should be mixed dry, then moistened to retain “fluffiness.” This is dusty business so you should wear a mask. Excess media should be stored in a covered container. 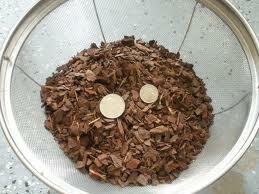 Screened pine bark, which has a wide range of particle size, can also be used in propagation. Small particles hold water, large particles facilitate drainage. In our experience, large particles can get in the way of sticking cuttings. A propagation mix is not forever. After a year or so, the media begins to decompose. Nice and fluffy when new, by the second year particles are finer, the mixture becomes dense and drainage is poor. The balance of air to water tips in favor of water, and you know the rest of the sorry story. Reviving stale, contaminated media with builders sand or perlite gives mixed results, as does incorporating new mix into the old to “re-fluff” it. We know. We’ve tried these corner-cutters to save money and work. When we encounter disaster (don’t ask about casualties in the trenches), we sigh and dig and add the old media to garden beds as compost. And so we say again, propagating with stem cuttings comes down to a delicate balancing act. That’s why low-tech propagation is an art. No guarantees, but when you succeed, you feel like the Rembrandt of the garden world.